What is considered unclaimed property? (1) IOUs. Money that is owed to you that you haven’t claimed. (2) Forgotten funds. Money sitting untouched in an account for an extended amount of time. Specific types of unclaimed property include back wages, life insurance, pensions, tax refunds, bank accounts, money orders, gift certificates and security deposits. For example, many states require banks to turn over funds from checking accounts that have been dormant for over three years. Search state and federal databases. Unfortunately, there is no master database to search for unclaimed property. There is a website called Missing Money endorsed by the National Association of Unclaimed Property Administrators (NAUPA) that can search most states at once, but each state maintains their own database. Be sure to check all states where you have been a resident. More information is provided online by the US government to help track down additional types of unclaimed property. Don’t pay a company to search for you. Companies are willing to search for unclaimed property for you, but will charge a fee. All unclaimed property data is public information, so anything a search company can find, you can find as well. In most cases, it’s best to conduct the search yourself. Watch out for scams. Be wary of any notices alerting you to unclaimed property that can be yours for a fee. Often times these scams will ask you to send them money with the promise of more money in return. The Federal Trade Commission (FTC) has some tips to help you spot an imposter. Take steps to avoid having your property become unclaimed. The best way to keep your property is to prevent it from becoming unclaimed in the first place. Some ways to do this is to actively manage bank accounts, notify companies when you move, close old accounts, and read all of your mail so you don’t miss a claim notice. File your tax returns. Consider filing a tax return even if your income is below the requirements to file. Unclaimed refunds with the IRS usually happen when a tax return isn’t filed with one of two situations: your employer withheld income tax from your wages or you qualify for a refundable portion of the Earned Income Tax Credit. The only way to know for sure is by filing a tax return for the year in question. If you have past tax returns to file, don’t wait — overdue tax returns need to be filed within three years. Any unclaimed property due to you is rightfully yours and should already be in your pocket. 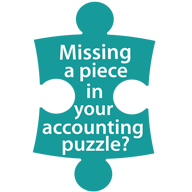 Perform regular searches to ensure that your funds aren’t sitting in a government account.